The San Antonio City Council has banned Chick-fil-A from San Antonio International Airport over “a legacy of anti-LGBTQ behavior,” as part of a new concession plan for the airport. City Councilman Roberto Treviño made the motion Thursday to approve the Food, Beverage, and Retail Prime Concession Agreement with Paradies Lagardère for the airport on condition Chick-fil-A be excluded from the agreement. Treviño asserted Chick-fil-A has a “legacy of anti-LGBTQ behavior” and that such a business has no place in the city’s airport. “With this decision, the City Council reaffirmed the work our city has done to become a champion of equality and inclusion. San Antonio is a city full of compassion, and we do not have room in our public facilities for a business with a legacy of anti-LGBTQ behavior,” Treviño said, according to ABC News. “Everyone has a place here, and everyone should feel welcome when they walk through our airport. I look forward to the announcement of a suitable replacement by Paradies,” he added. Treviño’s motion came after a Wednesday ThinkProgress report that asserted Chick-fil-A donated $1.8 million in 2017 to the Salvation Army, Fellowship of Christian Athletes, and Paul Anderson Youth Home—charitable Christian ministries that ThinkProgress defined as discriminatory against LGBTQ individuals. Chick-fil-A cut ties with the Paul Anderson Youth Home as of June 2017. 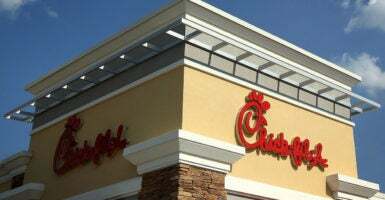 Chick-fil-A said the City Council made no mention of its concerns before the motion, and that the restaurant would have liked to have had a dialogue with the council prior to the decision. “This is the first we’ve heard of this. It’s disappointing. We would have liked to have had a dialogue with the city council before this decision was made. We agree with Councilmember Treviño that everyone is and should feel welcome at Chick-fil-A. We plan to reach out to the city council to gain a better understanding of this decision,” the company said in a statement. 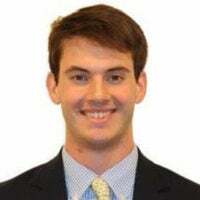 Joshua Gill is the religion reporter for The Daily Caller News Foundation. He is a former member of the Young Leaders Program at The Heritage Foundation.